At this moment I am reading the Introduction of The Complete Bordeaux, the new book by the English wine writer Stephen Brook. Very interesting stuff. And quite serious, most of it. Therefore I was surprised - and amused - when I encountered the following passage in a paragraph about the history of the brokers - the courtiers - in Bordeaux: "The Dutch and the British were to prove complementary masters of Bordeaux commerce: the former favoured wines that were as cheap as could be compatible with drinkability, whereas the British market went for quality even if the price was considerably higher. The British preference was not just a reflection of intrinsic good taste, compared to the Dutch predilection for soapy cheese, stewed eels, caravanning, and cheap, sweet wine." Especially the "caravanning" strikes home as a fatal judgement. OK, it is somewhat out of place in this text about 18th century history, but it is true, unfortunately. When I happen to drive South during the holidays (I'd rather not) I always wonder how the French, the Germans, the English etc. will perceive the endless row of plodding Dutch caravans on the right hand lane, this symbol of an over the top practical national character. Or if you want, a sign of dubious taste. Caravan people never really leave their orderly country. Regarding wines we, the Dutch, have made some progress, I would say. And still there is plenty of teaching to do in this country. 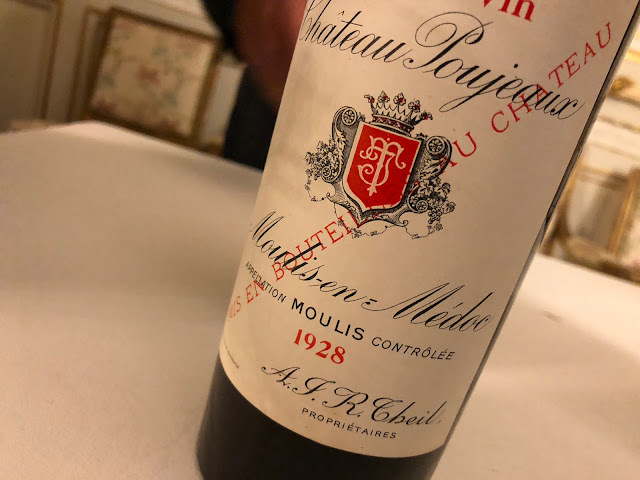 May this blog be one of the examples of Dutch progression, and with it we hope to inspire people to discover the truly great classic wines of France. But probably the people who read this blog will already have done so. And I'm also quite sure that no caravanner will ever see this posting. But if I'm wrong, I'd definitely like to hear from you!